Open your hood and locate your vehicle's serpentine belt. 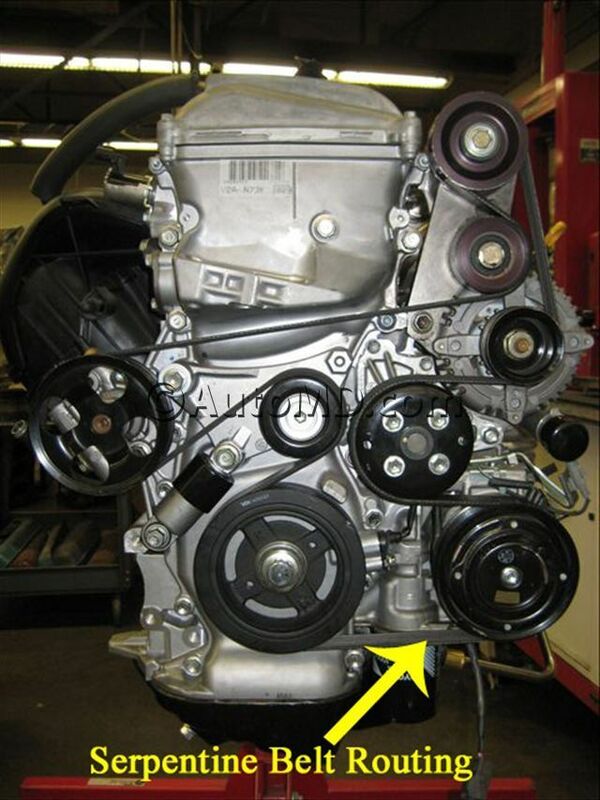 Locate the serpentine belt routing diagram in the engine compartment, in the vehicle owners manual, or under the hood. Locate the serpentine belt tensioner. Move tensioner to loosen the belt. Install the new serpentine belt making sure the belt is routed the same way as before. 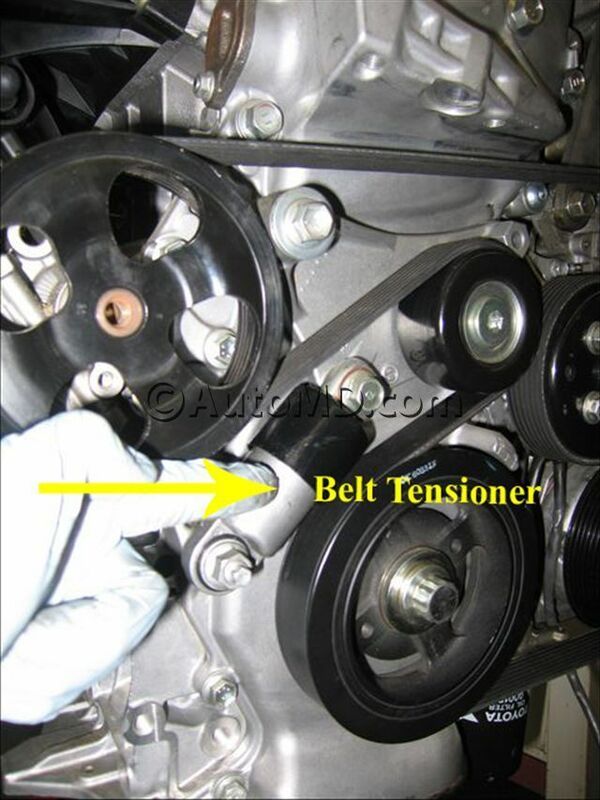 Turn the engine off and recheck the serpentine belt tension. Adjust tension if needed. May require belt tensioner replacement.